– Jack Newton, Clio CEO and Co-Founder. 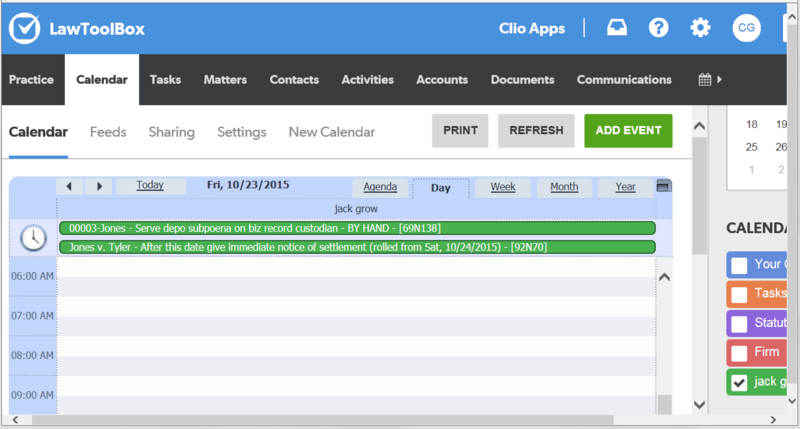 LawToolBox court deadlines for Office 365, Outlook 2003+, Google, iCal, Lotus Notes and Microsoft Matter Center has now been integrated with Clio! 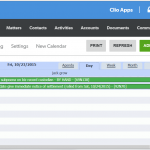 LawToolBox makes it easy to see Clio Matters in LawToolBox and LawToolBox deadlines/appearances in Clio! LawToolBox gives Clio users a robust docketing system: automated rule changes, custom reporting, customization of court rules, email reminders, audit trail, build your own deadline templates and more! » Permission allow view or edit access » Anyone can learn how to use in minutes!